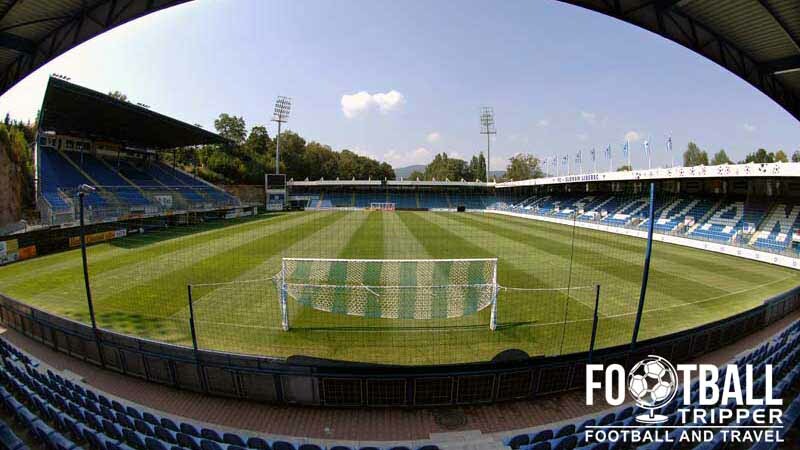 Stadion u Nisy is purpose built football stadium located in the Czech Republic city of Liberec. 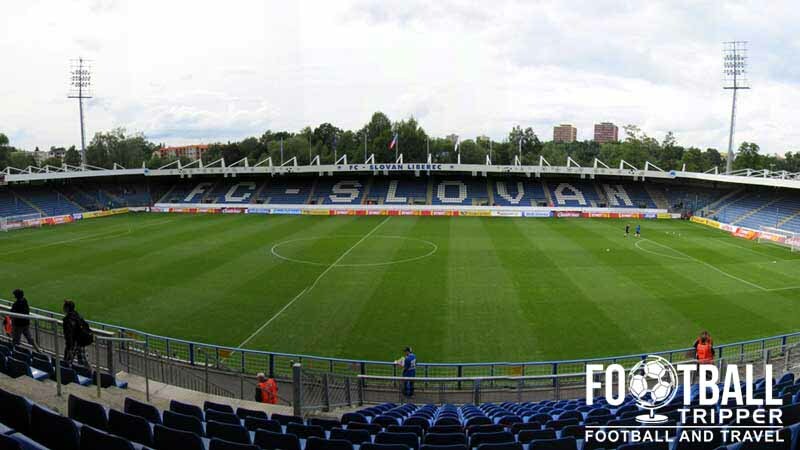 Home to Czech First League football team FC Slovan Liberec, the 9,000 capacity ground was last renovated in 2001 and is named after the nearby River Nisa which flows behind the North Stand. Stadion U Nisy first opened in 1933 when it was initially comprised of a single wooden stand. 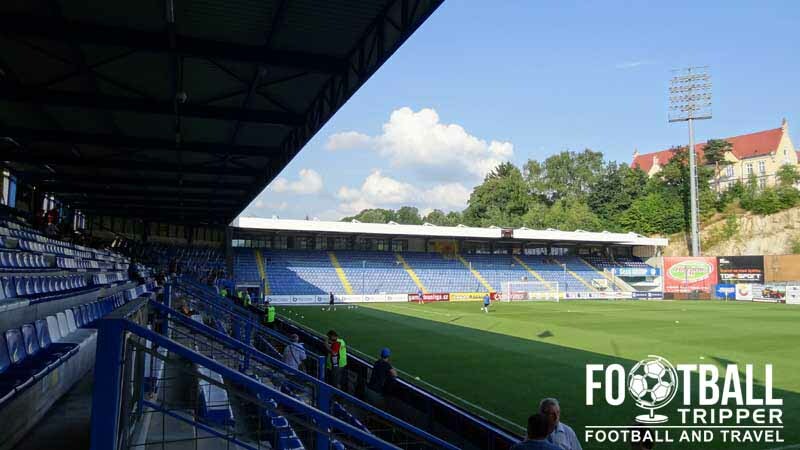 Capable of seating 5,000 supporters, the stadium was used by several Liberec based football clubs such as Slavoj Liberec before becoming the permanent home of FC Slovan Liberec in 1958. The stadium’s name is derived from the iver Nisa (Lusatian Neisse) which flows directly behind the north stand. Since the 1990s the stadium has undergone several renovations including expansion to 7,500 in 1995. A new north stand and under soil heating were added over a three year period between 1998 and 2001. Floodlights were installed in 2000 in order to host a UEFA Cup qualification match against Liverpool FC. The highest level of club football played at the Nisy to date has arguably been Champions League however after been drawn with the likes of AC Milan and Spartak Moscow they have yet to progress to the group stages. They have however fared much better in the Europa League having reached the quart finals against Borussia Dortmund in 2001/2002, and a round 32 against AZ Alkmaar. As Czech Republic lacks a national stadium international matches are hosted around the country, and rotated between stadiums. 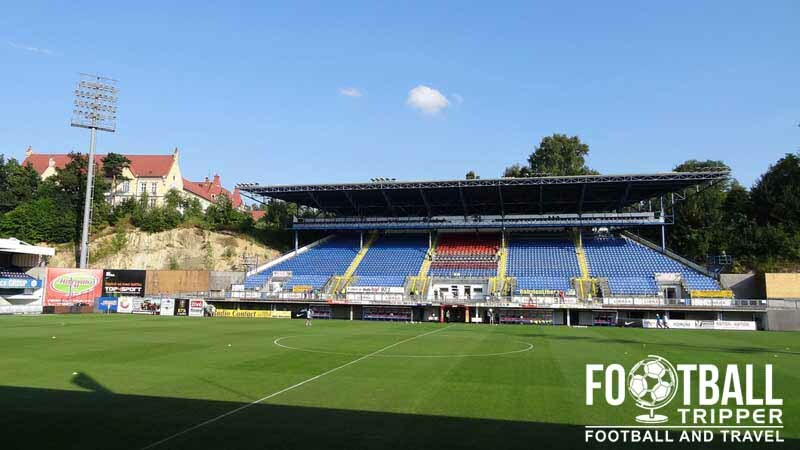 Stadion U Nisy has hosted three qualifications matches to date, and other assorted friendlies. They qualification matches are as follows Czech Republic v Andorra (8-1) for the 2006 German World Cup, Czech Republic v San Marino (7-0) and Czech Republic v Cyprus (1-0), both of which for the Euro 2008 which was co-hosted by Austria and Switzerland. Stadion u Nisy is comprised of four stands: North, East, South and West.